The Last of Us opens with an intense scene where the protagonist's daughter dies as the Infected take down the streets. Cut to the second chapter and the protagonist has survived the zombie apocalypse and now leads the life of a smuggler. And the story begins. Zombies in this game are known as the "Infected". You play the role of Joel, a middle-aged man who moves very gingerly, even when the game demands high adrenaline. 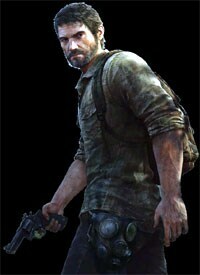 Naughty Dog has gone the distance this time to make him as real as possible. Don't be surprised if he is not able to perform superhuman stunts like Drake from the popular Uncharted series. Joel is on a mission to smuggle a girl called Ellie to the fireflies, a rebel group working against martial law. Last of us has a good story line and an emotional connect. But as a gamer don't expect this game to be easy. It is not a slam bam kill zombie game and has complexities attached to it. Instead of taking the resistance head on you have to be patient, calculative and hide. There were times in the game when it was like playing hide and seek with the Infected. The graphics and game play are just stunning as you would expect from Naughty Dog after their Uncharted series. The infected are not very scary, but damn they are fast and when you run out of ammo, you will die. The bullets are limited and the infected don't die with a single hit. Joel, on the other hand, will die endless number of times till he finally achieves his goal. Joel is an aging man so every time you take a hit he takes his own sweet time to recover. Moving consistently is the key for survival in this game. There is a stealth mode, but that is not much of a help as death lies ahead of Joel on every corner. There is no doubt that this is the most intuitive and immersive game ever made and would want your undivided attention and concentration mixed with attention to detail. Designed to deliver extreme frame rates, the NVIDIA GeForce GTX 760 GPU offers amazing PC gaming performance, smooth frame rates and exclusive GeForce GTX features. Includes NVIDIA GPU Boost 2.0 technology. Antec Inc's GX700 is a military themed midtower chassis for the gamers and while the new V1 is an aggressively priced entry-level enclosure. GX700 features tool-less drive bays and customisable HDD trays. ASUS has introduced two TUF Series motherboards based on the Intel Z87 Express Chipset for 4t Generation Core processors. The ATX Sabertooth Z87 and micro-ATX Gryphon Z87 feature proprietary thermal designs.